Indianapolis' most trusted floral name. At this difficult time, my staff and I are here to guide you through what is a challenging process. We'll insure that the right arrangement for you is designed at your price point, along with your wishes. At Steve's, because we have been in business since 1973, we've shared those life events with our Indianapolis customers that are the most meaningful in their lives. We understand, because we're Steve's Flowers. 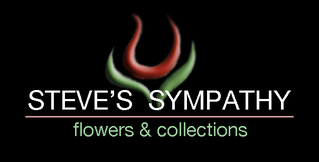 Steve's Flowers and Gifts was founded in 1973 by Steve and Linda Huth. As Steve was attending college, he worked for a local flower shop, delivering, doing odd jobs, and eventually designing. Steve had dreams of opening his own floral facility on the south-side of Indianapolis, and when opportunity came, he went to work to make it happen. His philosophy from the start was making sure his customers were happily satisfied. The dedication and commitment towards his goal allowed Steve to move into a larger facility in 1976, and opened a second location in the fast growing town of Greenwood in 1982. In October of 1988, Steve designed and had built his own building which consists of 7,000 square feet. With greenhouse, card and gift display area, design room, plant department, and a large receiving and delivery area, he supplies his customers with exceptional service and a comfortable setting for shopping and browsing. Through the years, Steve has striven for excellent quality in designs, which led to the expansion of the original location in 1999. Expanding this location 3,000 more square feet enabled Steve to have a larger design center to monitor quality control and ensure customer satisfaction. In 1995, Steve added the convenience of ordering online at www.stevesflowers.com. Today, Steve has made the commitment to adding the convenience of online ordering, while at the same time providing the Personal Service that his customers have come accustom to. "Our Mission is to Establish and Maintain the Highest Level of Floral Value and Customer Service at Comfortable Consumer Prices Along with Creating a Team-Oriented, Core Value Driven, Work Environment That is Personable, Caring, and Customer Focused"
When you Send Flowers, Put Your Trust In Your Local, Family Owned, Indianapolis Florist, Steve's Flowers And Gifts, For Efficient, Secure, And Dependable Service. We guarantee your satisfaction regardless of what you order. Our talented design staff can transform your vision into reality. We carry a complete line of gift items, plush, candy, balloons, and plants. We specialize in parties, corporate event planning and weddings. We feature creative Remembrance Bouquets. We have 2 convenient locations, one in Indianapolis, Indiana, and one in Greenwood, Indiana. We have same day delivery on orders placed by noon. Hours: Monday through Friday, 8 am to 6 pm. Saturday 8 am to 5 pm. Hours: Monday through Friday, 9 am to 6 pm. Saturday 9 am to 5 pm. Closed Sunday. Our Indianapolis location is open from 8:00 a.m. to 6:00 p.m., Monday through Friday, from 8:00 a.m. to 5:00 p.m. on Saturday, and 11:00 a.m. to 3:00 p.m. on Sunday. Our Greenwood location is open from 9:00 a.m. to 6:00 p.m. Monday through Friday, from 9:00 a.m. to 5:00 p.m. on Saturday, and closed on Sunday. Our shop will always be closed on the following holidays: Thanksgiving Day, Christmas Day, New Year's Day, Easter, Mother's Day, Memorial Day, Independence Day and Labor Day. Individual pieces and collections. Local delivery only. Sorry, no wire-outs. (c) Steve's Flowers 2014.